In 2014, Jackie felt a lump in her breast whilst showering, that felt like a pencil with a soft rubber on the top. She went to her GP who referred her to St James’s Hospital as an urgent case. Following a mammogram and ultra-sound at St James’s, Jackie had a biopsy and the doctors confirmed that she had breast cancer. Within 2 weeks she was receiving treatment and preparing for surgery. Jackie had her first surgery in November, which was difficult and there were complications. She was scheduled for further surgery in January 2015. Jackie had all of her family over for Christmas, but was really quite unwell over those days. She remembers being so happy to get a call from Mr Terence Boyle, Consultant Breast Surgeon and Clinical Lead of Breast Care at St James’s, to say that he would be available on New Year’s Eve and the surgery could go ahead without delay. From that point on she moved onto a programme of radiotherapy and chemotherapy, which all proved difficult for Jackie as she had some set-backs. Jackie describes the radiotherapy – ‘The radiation was tough and I did suffer from burns on my skin. Of all the things that I went through since being diagnosed with breast cancer, nothing prepared me for the impact of the radiation’. In April 2015, Jackie had her ovaries and fallopian tubes removed. For Jackie, every treatment is about stepping forward and whatever has happened must be left behind. ‘It is over and done, and only the next step can be thought about’. Jackie says that she was reluctant at times, to contact the breast care team when she was feeling unwell, or had other side effects. But she now knows that the team there are ready to help her and to make that call into them quickly as the team want to know about any changes and are there for her. But it is not only your physical health that requires attention when you are being treated for cancer, your mental health is critical. Jackie attends the oncology psychology services and found this service so important to holding everything together and being able to speak freely about how you are feeling and what is difficult. Jackie did find it initially slow to get her energy back following treatment, but she has pushed herself forward and although she hasn’t been able to go back to work, she very much enjoys being with her grandchildren. She has her regular appointments at St James’s Hospital, with a range of the breast cancer team. Jackie continues to meet women who are going for screening or being referred onto St James’s. 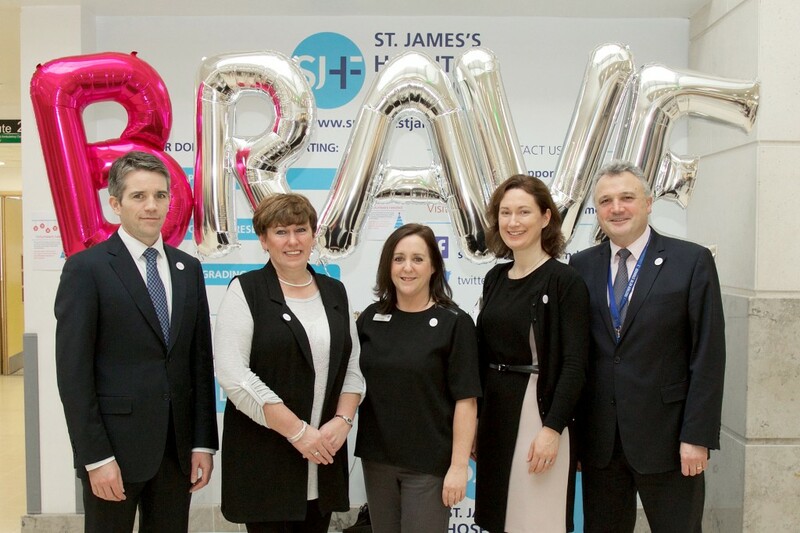 ‘Whenever anyone asks me what it is like at St James’s for breast care, I always tell them no matter what happens, that they will be well looked after. It is a pretty well-oiled machine that takes you through the treatment. A great set up, and the staff are there for you, and are concerned about you’. Thanks so much to Jackie for sharing her story.